In all our years as St. Louis home builders and remodeling experts, we’ve found that bath remodeling projects are easily at the top of most homeowner’s wish lists. As a standalone project or as the first part of a larger home remodel, bathrooms are a popular choice for an update because they typically require a smaller budget and shorter timeline – creating a relaxing oasis in an otherwise outdated home or providing a satisfying first taste of what’s to come in a larger remodel. Each bath remodeling project is unique, but when we meet with clients for an initial consultation, there are several practical suggestions we bring to the table that can go a long way in creating a relaxing, beautiful, durable space. Check out a few of our top bath remodeling tips below and then give us a call to discuss additional options to fit your unique requirements and style. Don’t get us wrong, we’re a big fan of rich, bold color – just not in the bathroom. Time and time again, we’ve seen clients try to incorporate a striking color scheme in a bathroom through paint, tile and fixtures only to regret it later. 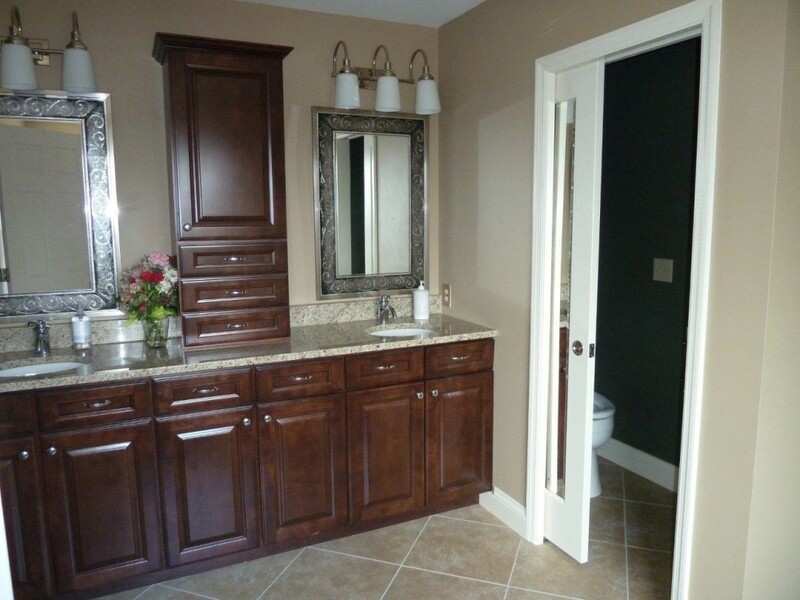 While paint is fairly easy to change up, the tub, sink, toilet and floor are a different story. We always advise going neutral on these elements in favor of using decor and accessories to add color and style. You can change your towels any time – your vanity is a different story. For bathrooms, our advice on storage options in small spaces is opposite of what we said about kitchens. Generally, we don’t recommend open storage. Not only is it much harder to keep all the small odds and ends found in bathrooms tidy and organized but it’s less likely you’ll want personal items on display. If there’s no room for a handy linen closet or you simply must have a pedestal sink instead of cabinets, consider working in a recessed cabinet, space permitting. We’re not even going to talk about the possibility of carpet. Just no. In a bathroom, the first priority when choosing the floor is durability. Cheaper options like laminate will not do well in a wet environment over time. Options like stone, marble and ceramic tile are great choices. Worried about warmth? Under floor heating is a wonderful option (as well as a good investment in terms of re-sale value). A well-sealed hardwood floor is yet another good choice that will provide more natural warmth than stone, marble or ceramic. Our final bit of practical advice? Sit in a bathtub before you buy. The size of your tub may be limited by your space, but if you have the luxury, be sure you’re installing a tub that is large enough to be comfortable for the biggest member of your household. For whatever reason, dimensions just don’t tell the whole story here. You have to actually sit in the tub to know for sure. Get a FREE kitchen appliance up to $500 in value with a full kitchen remodel. Get a FREE tile floor up to 40 sq. ft. with a full bathroom remodel. *Limit one special offer per job. Special offer must be mentioned at time of appointment. Custom Wine Cellars, Built In Bookshelves & More!